Calling All Scandinavians – Poker, Football and $25,000 in Barcelona Awaits! Scandinavian online players are regarded by many as amongst the best in the world and Everest Poker is an online poker room that is not slow to recognise this belief. Everest has therefore decided to create a competition pitting Scandinavians against one another and lining up an extremely attractive prize and location for the finale in late February. Everest Poker is proving once again that it is one of the most imaginative online rooms in Europe today with this latest competition. Players from all over Europe have access to many tournaments, often with attractive guaranteed prize fund overlays, and satellite qualifiers into the biggest EPT and WPT events running constantly. 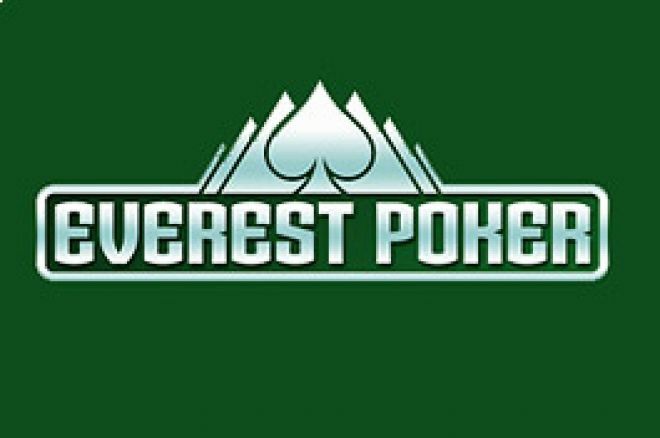 UK players are certainly missing a lot of action if they have not yet signed up to Everest Poker! In this promotion, it is the many Swedes, Danes and Norwegians who play poker that are on notice that this is for them! Everest Poker is sending no less than ten Swedish, ten Danish and ten Norwegian players to sunny Barcelona on 24th – 25th February 2007 to compete in team and individual events at the Nordic Summit. Players can begin, if they choose, by entering a daily $3 Nordic Summit Rebuy Satellite or a daily $5 Nordic Summit Freezeout Satellite, both running twice a day. These tournaments will gain the qualifiers entry into a $22 Barcelona Nordic Summit Finale running every Tuesday in January 2007. Direct entry into these is an alternative approach. The five winners of each Nordic Summit Finale will qualify to travel to Barcelona as will the top eight point earners from each of the three countries (each winner will be one of the eight from their individual country). There will also be two qualifiers from each country through special promotions. 1st : Qualifies directly to Barcelona. At the conclusion of the last Nordic Summit Finale on 30th January, Everest Poker will count up the points for all competing players. The top eight point earners from each country win a trip to the Barcelona jamboree! Each of the 30 finalists will also receive $600 in travel money to make their way to this beautiful part of Spain. At this point, the fun is only just beginning! Once in Barcelona, the finalists will be treated to a weekend of poker and football excitement! Ten three-seat tables will be played, three tables at a time, each table with one Swede, one Dane and one Norwegian. Each player has one team time-out, in which team members can be consulted for advice. Each country will receive points (3, 2, 1) based on where their players finish at each table. Quite simply, the country that finishes with the most points wins the $5,000 Team Prize! In addition to the poker tournaments, all the players will be treated to a welcome lunch, drinks at a pub, and tickets to an FC Barcelona football match! So, all you Swedes, Norwegians and Danes reading this, get qualifying by joining the Everest Poker Nordic Summit now! Ed note: Whatever your nationality, downloading Everest Poker is a quick way to big tournaments at cheap prices, and UK Poker News will add $50 to your $100 deposit bonus! 888poker XL Blizzard: Get Ready for Tonight's $500,000 GTD Main Event! PokerNews is a free to access, online resource that offers fresh daily content, world leading live reporting and poker strategy content and provides comparison features of various online poker sites to its visitors. Visitors should be aware that that the operator of this site (iBus Media Limited trading as PokerNews) receives affiliate and advertising revenue from the companies that appear on the site, and said remuneration may impact the location and order in which the companies’ banners and offerings are promoted on our site. Visitors should also note that room rankings can be impacted by a number of different variables and should not be relied upon for accuracy purposes. Whilst we do our utmost to try to ensure all companies advertised on our site are trustworthy and hold the requisite licences for their offerings, the rankings or prominence of any banner/advertisement do not necessarily imply endorsement of the companies or their products by iBus Media Limited trading as PokerNews. Except as expressly set out in our Terms & Conditions, all representations and warranties regarding the information presented on this site are disclaimed. The information which appears on this site is subject to change at any time.